Turkey breast is a lean, high quality protein that contains all the essential amino acids. It also has vitamin B-6 and B-12, niacin, choline, selenium and zinc. Try the tasty recipe we have for you this week. Mix together basil, thyme sage, chili powder and salt. Rub all over Turkey Breast. Add slices of lime in between skin and on top. 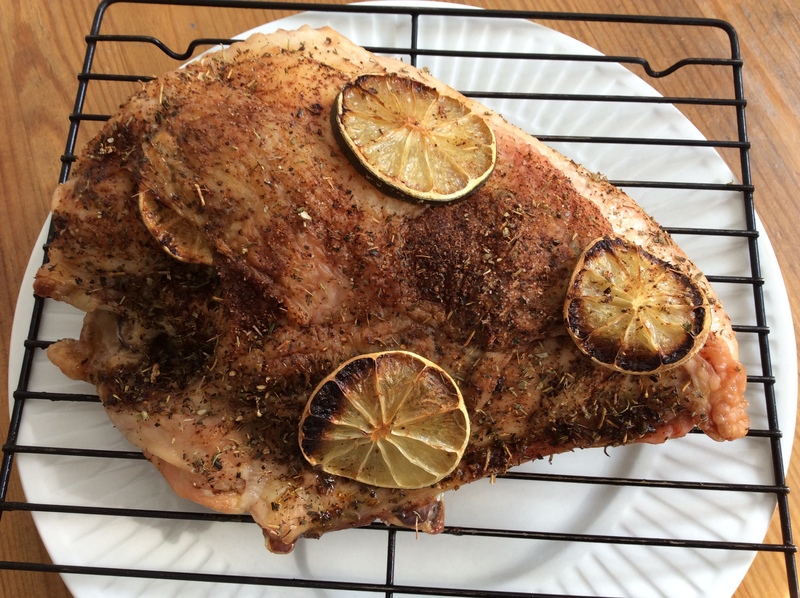 Cook in 350 degree oven for 1 ½ hours or until meat thermometer registers 180 degrees. Cool for about 10 minutes and slice.